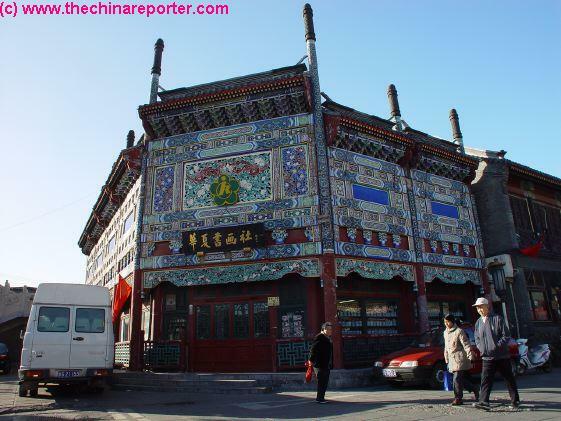 Short Description and information on Liu Lichang Street and surrounding Hutong. Includes some Photos. By an asian web blog. Descriptions of City Social Hotspots including some of Liu Lichang and Dushi QingDao - By OutUK. A Gay/Lesbian info site. Short Description and information on China, mentioning Liu Lichang Street as a highlight of Tourist Beijing. Includes some Photos. Beijing Hanhai Art Auction Group, information page. Interesting French Language description of Beijing Theatres, Parks and Lots of Culture, mentioning Liu Lichang Street. Antiques Trade Rules in China and Enforcement, Practice ! "Tempting Temples" , Beijing Weekend, November 21-28, 2003 .